Blow Moulded Plastic Candle Holders are the commonly sought-after dÃ©cor products. 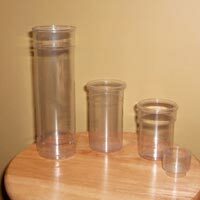 We are a renowned Blow Moulded Plastic Candle Holders Manufacturer, Exporter and Supplier in Canada. We manufacture Blow Moulded Plastic Candle Holders from quality tested Plastic Resins. The Blow Moulded Plastic Candle Holders that we specialize in are available in a wide range of sizes, shapes, colours, etc. 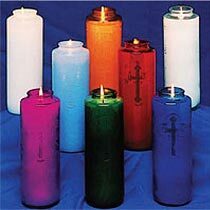 We can provide these Plastic Candle Holders in small as well as bulk orders. The company has excellent storage and transport facilities to supply the consignments of Plastic Candle Holders on time and at market leading prices, without compromising on the quality. Plastic-injection moulded candle holders are commonly sought-after décor products. We are a manufacturer, exporter, and supplier of these products in Canada. We manufacture plastic-injection moulded candle holders. They are available in a wide range of sizes, shapes, and colours. We provide plastic candle holders in both small and bulk orders. Plasti-World's excellent storage and transport facilities ensure a timely delivery and a market leading price, all without compromising the quality of the product.